A Dorset mother forced to wait 18 months to bury her two-year-old son has been celebrating after her six-year campaign led to a change in the law. 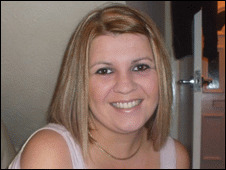 Cathy Franklin's son, Ryan, suffered a severe brain injury in the care of his father, Lee Khair, at the couple's Blandford Forum home on 26 May 2003. Ryan died three days later. Khair was eventually convicted of manslaughter. A new bill in the Queen's Speech limits the time a body can be held to 40 days. Ms Franklin, 33, said: "I am ecstatic." The former bar manager, from Castleman Smith, Blandford, has been told the Coroners Death Certification Bill is expected to become an Act of Parliament by February. A body will only be held for longer with the permission of the chief coroner in "extraordinary circumstances". "I was treated appallingly - I wanted justice for the victims and their families," said Ms Franklin, who is planning to become a teacher's assistant. "I am hoping Ryan is at rest, smiling down at me. "No-one should have to go through what I went through - the extra agony of waiting to bury Ryan was a huge trauma on top of his death. "It will be 'Ryan's Law' so he has not died in vain." After the incident, Ryan was transferred from a Dorset hospital to Southampton General Hospital, where he subsequently died. At the time, Khair, then 22, was a former L/Cpl based at Worthy Down Barracks in Winchester, Hampshire. He denied manslaughter but was jailed for seven years on 12 December 2003. He served three years of his sentence. Ms Franklin, then 24, decided to launch the campaign after police told her Ryan's body would not be released until after the trial. He is buried at Blandford cemetery. 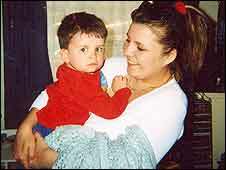 West Dorset coroner Michael Johnston reportedly called for a change in the law at the end of Ryan's case. More than 1,000 north Dorset residents signed Ms Franklin's petition, which was presented to parliament by constituency MP Robert Walter. "When she was solicitor general Harriet Harmon agreed this provision would be known as 'Ryan's Law'," he said. "I am so pleased mine and Cathy's campaigning has paid off."